Hope your week is going alright? Please, take time to pray for me, I have been slacking on posting a blog post every Monday. Ask God to strengthen me and to help me in all that I am doing. Myss Lafunky welcomes feedback and comments. Thanks to those that are contacting Myss Lafunky via email (trulymakingadifference@gmail.com) for counsel, offering words of encouragement, and feedback. I'm extremely grateful for you all. Before I write today's post, I would like to state that, Myss Lafunky has not attained everything in my Christian faith, I am still learning more about God every day of my life, I still fall, I usually feel very sad when the Holy Spirit corrects me of my wrong doings. If you are a Born Again Christian, you should never find it fun when you have sinned. Last week, I engaged in a grumbling/slandering session. Prior to finishing the grumbling session, the Holy Spirit whispered to me: Whoever does not stumble in his word is a perfect person. I immediately apologised to God and stopped. I stopped because I knew God hates us slandering others, He sees it as if we are persecuting Him. Remember the story of Saul of Tarsus? When Saul was attacking God's children, God took it personal and said to Saul, why are you persecuting me (Acts 9:5). Also, during the course of the week, I attended my church Bible Study, we are currently studying the book of James. The Pastor told me to read out James 4:1-12, as I read the verses, and I got to verse 11 & 12- (Brothers and sisters, do not slander one another. Anyone who speaks against a brother or sister or judges them speaks against the law and judges it. When you judge the law, you are not keeping it, but sitting in judgment on it. There is only one Lawgiver and Judge, the one who is able to save and destroy. But you—who are you to judge your neighbour? (James 4:11-12 NIV), the Holy Spirit said..I am reminding you of what you need to work on. I openly told my fellow Bible Study members that, God wants me to work on this. My lovely Pastor's wife told all of us to discuss how we can stop grumbling and complaining about others. The discussion was very useful. I am still on the journey of taming my tongue. Myss Lafunky is not ashamed to discuss her weakness, and how God is helping me. 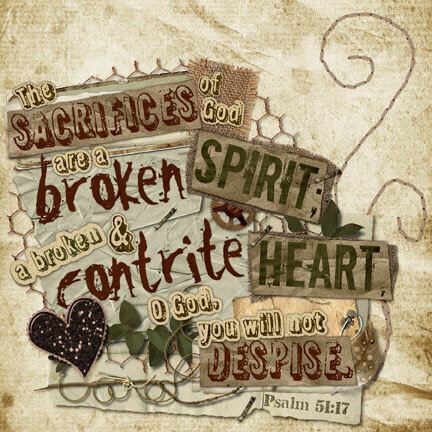 Remember, God will not despise a contrite Spirit and a broken heart (Psalm 51:17). Have you taken time to be honest with yourself about what you need to improve? You can ask God to tell you what you need to improve. Once you know the things that you need to improve, you need to discipline yourself, know what the Word of God says about it and start working on yourself. Remember not to start giving excuses about why you cannot improve yourself. Start checking yourself for what you need to improve, don't focus on others, focus on yourself, tell God to help you but you must ask yourself, am I ready to give up my weakness? By God's Grace, next week's post is going to be about Christians and Excuses. beautiful piece. encounters as the one described above are necessary to meet up with the kingdom requirements. there appears to be a very slim line between being judgemental and correcting others in love. atimes our discussions are aimed at bringing light to particular situations so as to make things better but it all turns out to be something else. knowing your personal shortfalls allows you to know what to focus on in your prayers. Thank you for your comment. Amen to the prayer. I agree with you, knowing our shortfalls allow us to know what we need to focus on when we are talking to God. You also made a good point about the slim line between being judgemental and correcting others in love. I guess there is no how you can be correcting others behind their back unless you take it to God in prayers or you are seeking someone else's view on how you should go about correcting the person. If we are seeking someone else's view about it, God expects us not to slander the other person. Hello Myss Lafunky :). Never disappointed with any of ur posts. Personally I am going through this same struggle and I kinda feel helpless. My tongue is costing me quite a lot and even my relationship. The problem is I do not know how to start improving. What practical tips are u using? Can I have some bible verses that could help me please? You also talked on focusing on urself and not others. What exactly did u mean and how does it apply to me, my friends and especially my relationship? God bless u ma. Thank you for your comment anonymous. It is good that you have recognised your weakness. That's the first step. I believe some of us have minimised the consequences of the use of our tongues. When you study the New Testament, there are various instructions from God about how it is displeasing to Him when we slander and grumble about others. God hates it, unless we are referencing our friends for the purpose of edification- to encourage some else. - James 5:9 - Do not grumble against one another, brothers and sisters, or you will be judged. - "You can be sure that on the Judgment Day you will have to give account of every useless word you have ever spoken. Your words will be used to judge you—to declare you either innocent or guilty.” (‭Matthew‬ ‭12‬:‭36-37‬ GNT). - All of us often make mistakes. But if a person never makes a mistake in what he says, he is perfect and is also able to control his whole being. (‭James‬ ‭3‬:‭2‬ GNT). - Acts 9:5- when Saul of Tarsus was persecuting the children of God and God took it personal, He said to Saul, why are you persecuting me. I remind myself that when I slander others, I am persecuting Christ, which is extremely wrong. Now we know that God's judgement against those who do such things is based on truth. So when you, a mere human being, pass judgement on them and yet do the same things, do you think you will escape God's judgement?" Why is it tempting for me to be critical of others? What situation allows me to be critical and grumble against others? Are you less tolerant of other people when they fall? Have you ever thought that grumbling against others and judging others feed your appetite of self-righteousness? Ask yourself, why do I grumble against others and why? How can I NOT grumble against them? Have I asked God to help me? Next time you are tempted to grumble or complain about others, change it to praise or focus on yourself. "Your speech should always be pleasant and interesting, and you should know how to give the right answer to everyone. (‭Colossians‬ ‭4‬:‭6‬ GNT)"